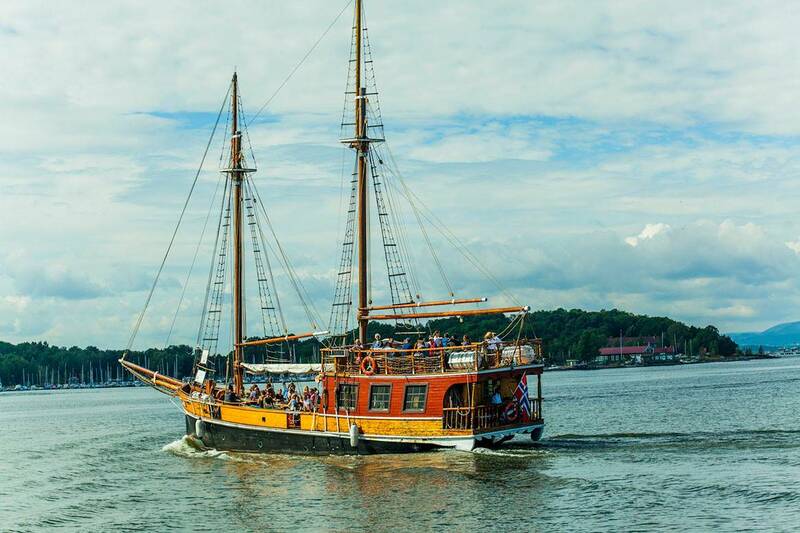 Hop on hop off 1h 25h on board a traditional wooden sailing ship. We pass the ancient fortress of Akershus, the opera house and picturesque islands in the inner part of the Oslo Fjord. The stops are Opera house, DFDS-Cruise-quay Vippet, Oslo City Hall, Color Line-quay and Museum Island. Tickets are valid 24 hours. Tickets and refreshments are sold on the boat. Lunch is available on request.